In the news recently was a story about a 16 year old young girl who was returning from a conference. She happened to have diabetes and was wearing an insulin pump. She had a letter from her doctor stating that she could not go through the scanners but would require a body search. TSA screeners in Salt Lake City felt that they knew better than this young lady or her doctor and required her to go through a full-body scanner. She has since claimed that this act resulted in the malfunctioning of her $10,000 insulin pump. She is not happy. 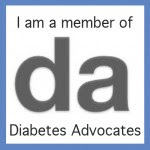 Her parents are not happy and many in the diabetes community are left asking, "What are we supposed to do?" For me, we have done both the patdown and gone through a screener. Until recently I have told the security personnel that my son is wearing an insulin pump and we would prefer he be patted down. At one point they argued with me stating that as pumpers themselves, they constantly exposed themselves and their pumps to the scanner machines with absolutely no adverse effects. We decided to finally give it a try. Of course my son had some other item on his body that set off the alarm and still had to be pat down but his pump did not see any adverse damage. So the question remained, for those of us who will be traveling by air and having to go through airport security what do we do? According to an Animas statement released in response to the Salt Lake City incident (May 2012 Standby Statement) "...we recommend that our patients avoid going through X-ray machines when traveling, as the machines may potentially damage the pump's software and therefore affect insulin delivery. 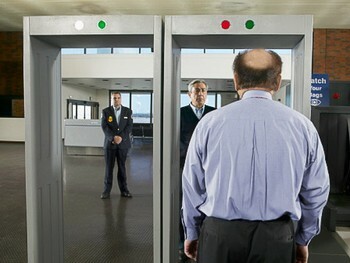 This includes the newest airport screening tool, Advanced Imaging Technology (AIT) or full body scanner." 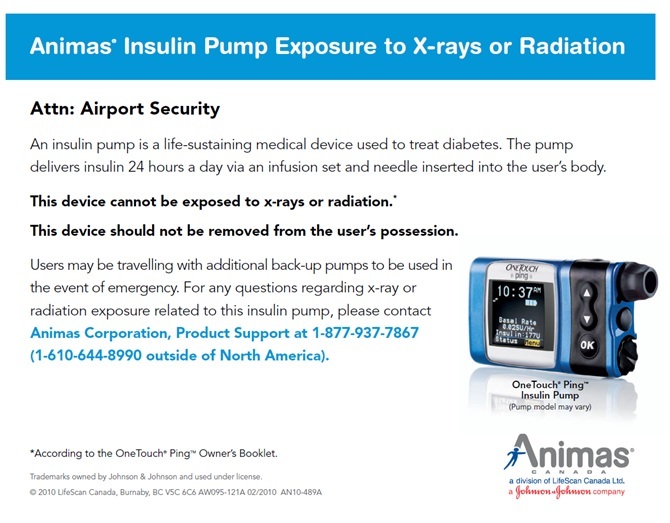 They further advise pumpers to alert TSA employees that they are insulin pump users and should NOT undergo an X-ray machine. Animas will also provide a letter to its customers that can be shared with airport personnel should they be questioned or asked to be scanned. If Animas pumpers have any further concerns, they can visit www.animas.com or call 877-767-7373. I wondered why there was a problem, so I asked! I was curious if there were studies on how this decision was made. No studies could be found but it would appear that engineers feel that each time an electrical component goes through an x-ray machine, it fatigues some of the electrical components. This made sense. If we get X-rays for our teeth, for the breathing issues in our lungs, after the skiing accident on our leg, and then on the six plane trips we took that year...well that's a lot of potential for fatigue! 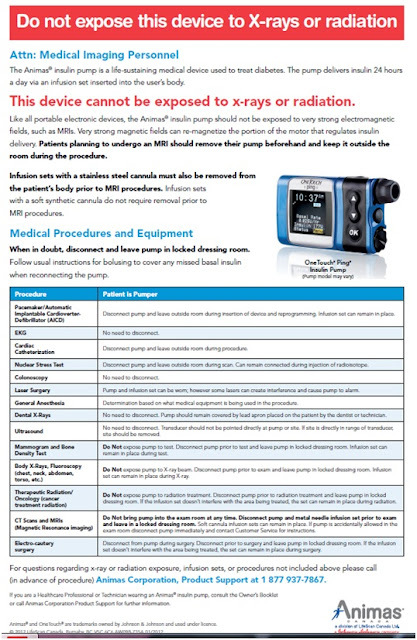 According to Medtronic, "You can continue to wear your insulin pump or continuous glucose monitor while going through common security systems such as an airport metal detector as it will not harm the device or trigger an alarm. Do not send the devices through the X-ray machines. You also need to remove your insulin pump and CGM (sensor and transmitter) while going through an airport body scanner or ask for a pat-down screening." 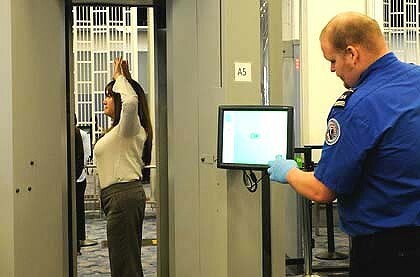 I was still confused though...what is the difference between X-ray, full body scanners and metal detectors? Google to the rescue! While I did not bother to get into the technical differences, we know that the X-ray machine is the thing that scans our purses, laptops and jackets. How do we tell the difference between a metal detector and a body scanner? It turns out that a metal detector is the traditional screener that we have all come to love to hate. and for some reason make me think of a woman getting ready for a mammogram! What does all of this mean? The main message I received is to go with a pat down ideally but absolutely, 100% without a doubt do NOT put your pump on the belt with your laptop, purse or jacket to go through the X-ray machine. Do not put your pump or CGM through a body scanner but if you want to walk through a regular traditional metal scanner...well make sure that you don't have the pump clip still attached because you know that is going to set it off! Can We Get Mike on Ellen? YES WE CAN! Thank you to the Mothers! Who knew I could do it!?! Mom, You realized that I saved my own life!